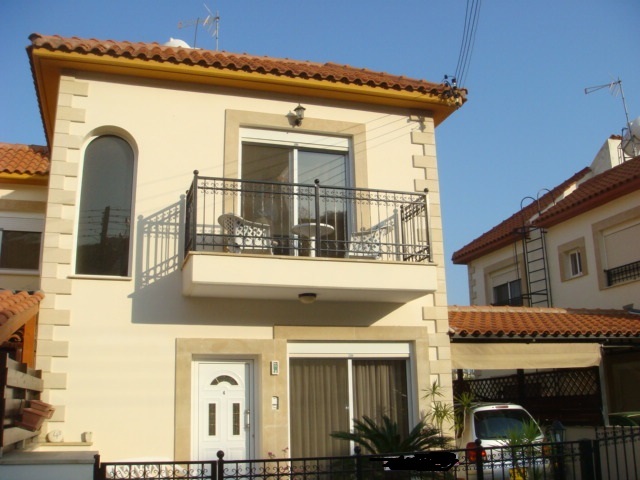 Walking distance to the village center and only 5 minute’s drive to the center of the Limassol tourist area and the beach. The house is beautifully maintained with very nice and individually chosen finishes and a fully fitted real wood kitchen. Ground floor: Living room with open plan kitchen, quest toilet, a small store room and a front veranda facing west with a kitchen veranda facing south. First floor: 2 bedrooms both en suite, provision for central heating, air-condition units in the bedrooms, fly screens in all rooms, electric shutters, tinted double-glazed windows. A truly beautiful property with title deeds at a new reduced bargain price, ideal for first time buyers or as a holiday home!